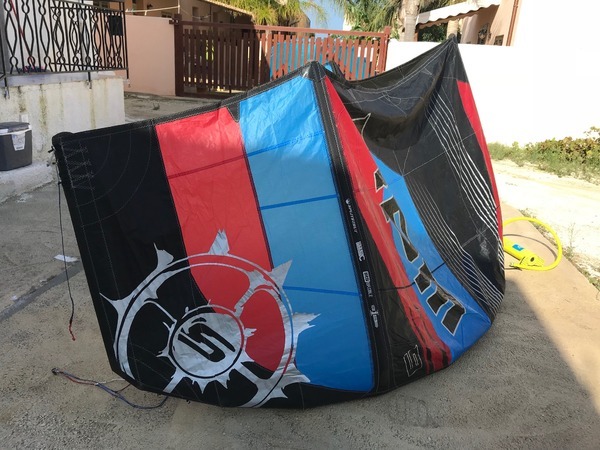 I would like to sell my RPM all around kite from 2018 with a bar. The kite and the bar are in very good conditions, gently used: stretchy canopy, no leaking, no repairs. "The 2018 Slingshot RPM is the all-around weapon of choice for championship-level freestyle, general freeriding and the go-to kite for many kite schools. For general freeriding, it provides responsive handling, smooth power delivery throughout the window, great boosting and powerful but predictable loops." The price is 750 euro with the bar, non-negotiable. The shipping can be included.